Many thanks for setting up the marquee for our New Years Eve party. 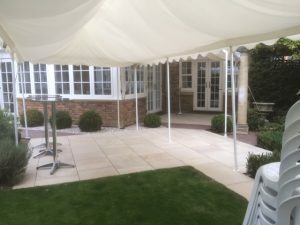 Based on a recommendation from a friend I decided to hire Posh Marquees and I would not hesitate to use you again, as the service was professional and well organised. The marquee was put up very quickly and after being dismantled I found that my newly landscaped garden was completely undamaged. I have no doubt that, should I hold another bash, I will be hiring you again. Absolutely delighted with the service from posh marquees! They tuned up at 8.30 on the dot and were speedy in assembling the marquee. Considering it was December I was worried about the how cold it would be, but the heaters where very warm and no complaints from guests. 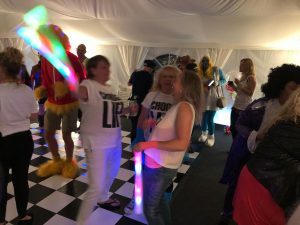 We all had such a great time and would definitely recommend/ use again for any other parties. Thank you once again for providing the marquee for my 40th birthday party at home. You provided a great service from start to end. 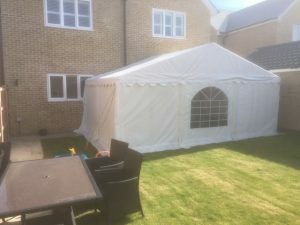 At the time of the quote you provided me with great marquee ideas for me to be able to host my party at home. Booking and communication with you after that point was easy and efficient. On the day you arrived promptly and set up the marquee in speed time being very mindful of our property. The marquee was perfect for the party. On collection day again you arrived promptly and swiftly packed the marquee away. I would have no hesitation in using your services again or recommending you to friends and family. You provide a friendly, reliable and excellent service. We are more than happy to provide a very positive recommendation on behalf of your company. The marquee you put up for my 70th birthday in December was a brilliant addition to the back of our house, and actually made the event possible. Although relatively small (6m by 6m) it created a large amount of welcoming space for our guests, and looked fantastic when lit in the evening. We had live music, and the marquee was a perfect location for this. 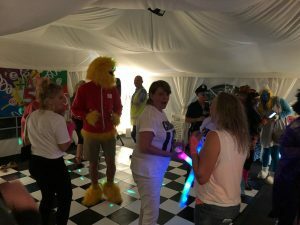 From the moment that we first made contact, Posh Marquees were extremely helpful, positive and informative. We have a small garden which was not easy to work in, including a patio and an uneven surface. However, you had a clear idea of what was possible and provided workable solutions to any problems that arose. We also found you extremely friendly, polite and helpful. Would absolutely recommend to any future customer. Never having hired a marquee before I was not sure what to expect, but I need not of stressed. You and your crew erected and dismantled the marquee with such care and were so professional, and nothing was too much trouble in the lead up to the day. Everything went to plan and the event was a great success. I would recommend Posh garden marquees without hesitation. 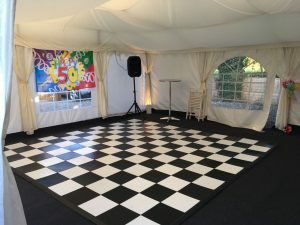 It was so easy to hire a marquee for my 60th Birthday party.The marquee was put up 3 days before the party which protected the party space from the torrential rain and wind that persisted until 30 minutes before guests arrived! This meant we were able to enjoy the outside space as planned with no problems. I knew from my initial conversation with Andy, that I wouldn’t have to worry about a thing. Andy came along to evaluate the available space and knew exactly what would serve our purpose and show off our garden to its best. 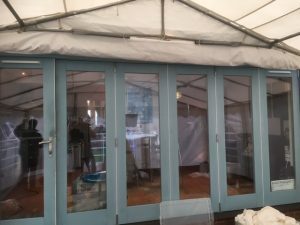 We were kept informed about when the marquees would arrive, how and where they would be placed and also when they would be removed – and all of this was done in a very timely fashion. Andy and his colleague were polite, professional and very neat and tidy and a pleasure to deal with. I wouldn’t hesitate to recommend them and would definitely hire them again. We were extremely pleased with the marquee and it made my birthday celebrations go even better. The quality and the service were second to none. We would definitely use Posh garden marquees again for another event. We have used Posh Garden Marquee hire several times and their service can not be faulted! They are prompt at answering enquiries, always on time, efficient and polite. Everything you could ask for in fact. A good all round service. Thank you.